Kit only available on tagger size. Pack of 5 cluster frames, made with beautiful elements of the kit Glamorous Valentine. These cluster frames are full size, personal use. Beautiful flowers, colors and sensations that arrive with spring. of the birds in your walks with your loved one. This kit have a beautiful color palette, enjoy it! sale separately at the store. Kit available on full and tagger size at the store. 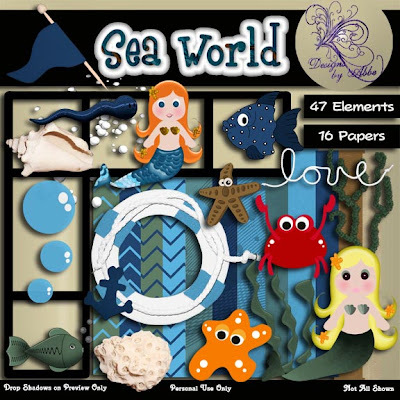 Enjoy this great pack of cluster frames, made with beautiful elements of the kit Spring Love. These cluster frames are full of color, spring and romance. Perfect for your valentine layouts. Are personal use, full size. 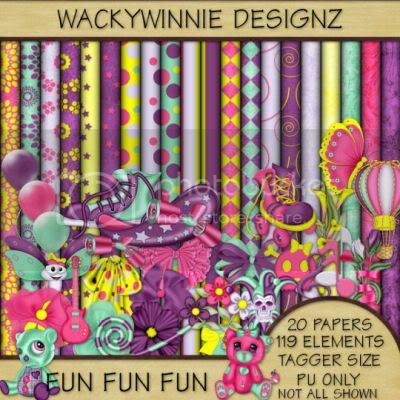 *** These cluster frames are included in the scrap kit as a bonus. So, enjoy them! This kit was fun inspired. I loved the colors. This kit contains 20 papers 800x800 300dpi and 119 elements all 300dpi. There are lots of bows, flowers, ribbons and wraps. Also included are rollerskates, skateboard, running shoes. There are so many elements it makes for endless possibilities. I had so much fun making this kit I hope you have as much fun using it. BEE HAPPY just screams CUTE!!! Both tagger and full-size. 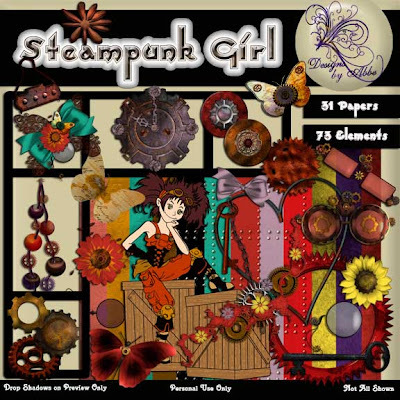 STEAMPUNK GIRL comes in both full size and tagger size and is now on sale for $1. 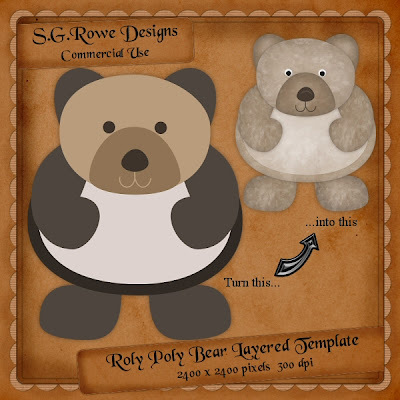 A cute little round bear to add a touch of cuteness and whimsy to your next kit. 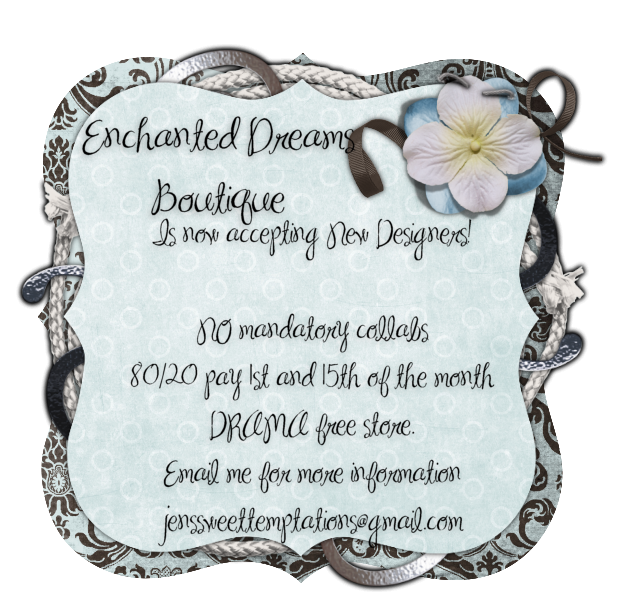 This template is available in full size and tagger size. Both templates are 50% off until 08 January! Just click the preview below to go shopping!